It may seem like a daunting task when searching for the right exterminator to help with your rodent problems, but it doesn’t need to be. We understand that you may be uncertain, which is why we’re here to help. 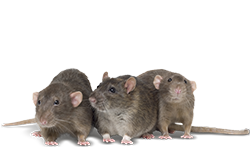 Critter Control® of Dallas has been assisting residents with their extermination needs for over three decades, using the most effective methods available anywhere. Our goal has always been to keep you safe from any harm, while minimizing our impact on the environment. No matter the rodent problem, Critter Control® can help. From residential to commercial issues, our technicians are well-vetted in the most effective methods available. For any other questions about our rodent extermination services, don’t hesitate to give us a call. For anything from removing the offending critters to repairing their damage, we have you covered. Schedule your free home consultation today, call us at 817-222-1101.